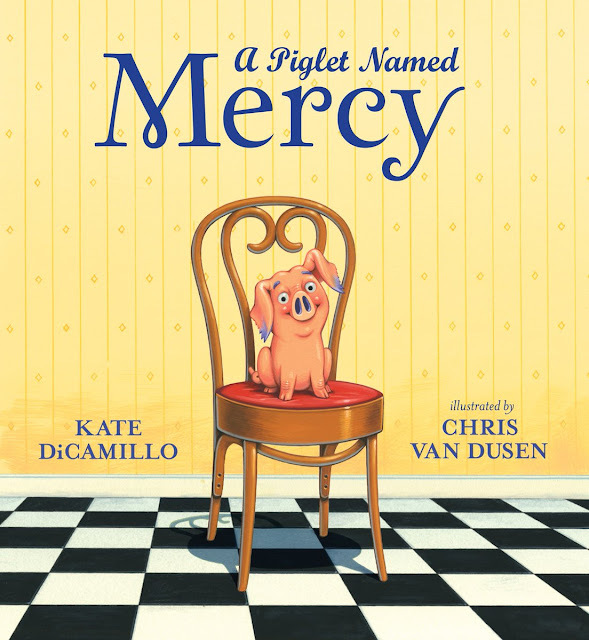 Please welcome back author-illustrator Mike Boldt to Watch. Connect. Read. HI, MIKE! 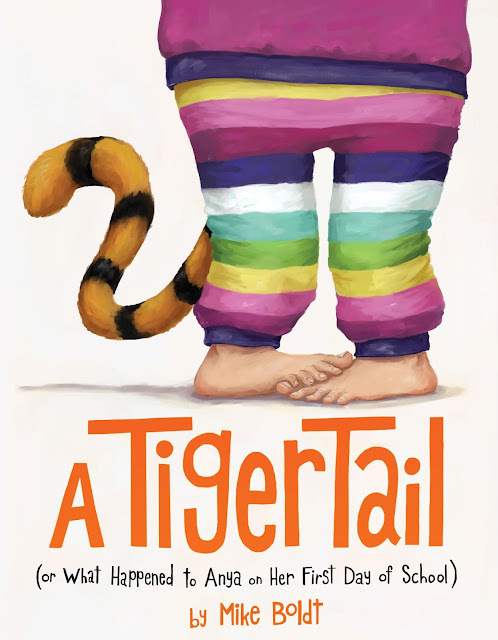 He dropped by to finish my sentences and reveal the cover for his upcoming picture book, A Tiger Tail (Or What Happened to Anya on Her First Day of School). I wrote the words in orange, and he wrote the words in black. Thank you, Mike! I cannot wait to meet Anya in August 2016. 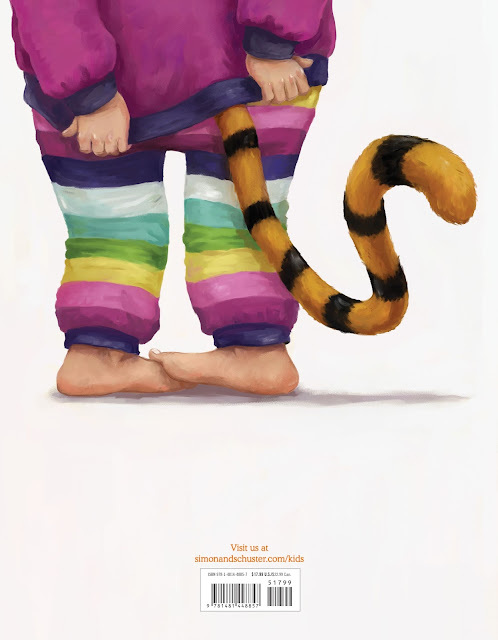 A Tiger Tail tells the story of Anya, who wakes up one morning with a tiger tail. Not like a ponytail or pigtails, but a real tiger tail. This is a disaster in most circumstances, but especially today, which also happens to be Anya's first day of school. I hope A Tiger Tail's cover piques the interest of anyone who has had to deal with something that's been out of their control - despite their best attempts. I created A Tiger Tail's illustrations based on one of my nieces who not only looks like Anya, but WHO shares her name and some of her personality. Some people call me an Author / Illustrator. I like ice cream a lot. I‘ve drawn since I was young. I like to write & draw them too. I’m amazed and grateful every day this is my job.